Once a year, the Management Council goes on a trip. At the beginning of this week, we visited London. The UK is one of the countries Uppsala University cooperates most extensively with – and we want it to stay that way even after Brexit. Our programme started on Monday morning with a tour of King’s College. This is a university in the heart of central London with which we cooperate widely on research and education. We received an introduction to King’s and to the work they have done in recent years on their vision. This has led to a new strategy and a vision statement that coincides almost exactly with our own. The process of change has been led by the President and Principal of King’s College, Professor Edward Byrne, who has agreed to join Uppsala University’s Advisory Board. Naturally, we are delighted about this. I took the opportunity to give him the Quality and Renewal 2017 report, so he will be well prepared. King’s works intensively with the local authorities and politicians. It was particularly interesting to hear about the education and research projects they have conducted in partnership with the city in the London Stories project. Our students visited the King’s College London Students’ Union, of which all students at King’s are automatically members. The agenda included student involvement and mental health. 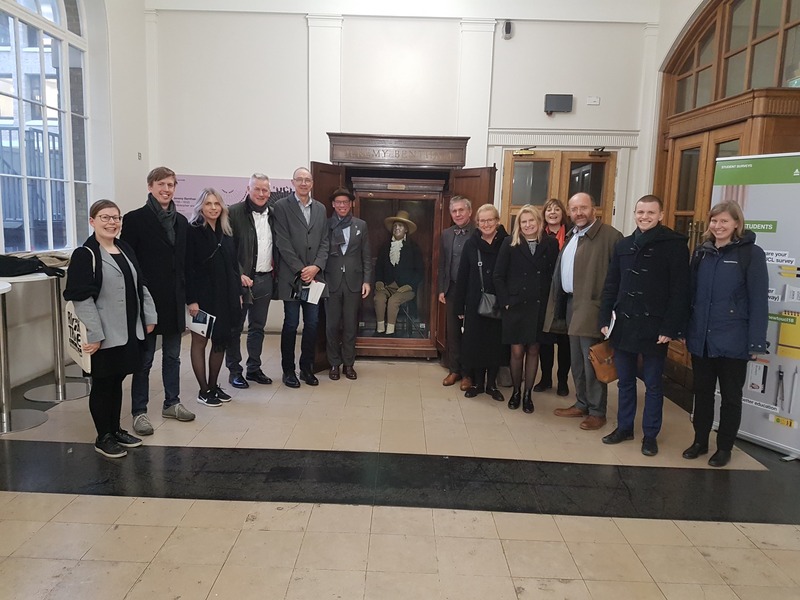 Deputy Vice Rector Mats Larhed and Vice Rector Johan Tysk also met their counterparts at King’s. 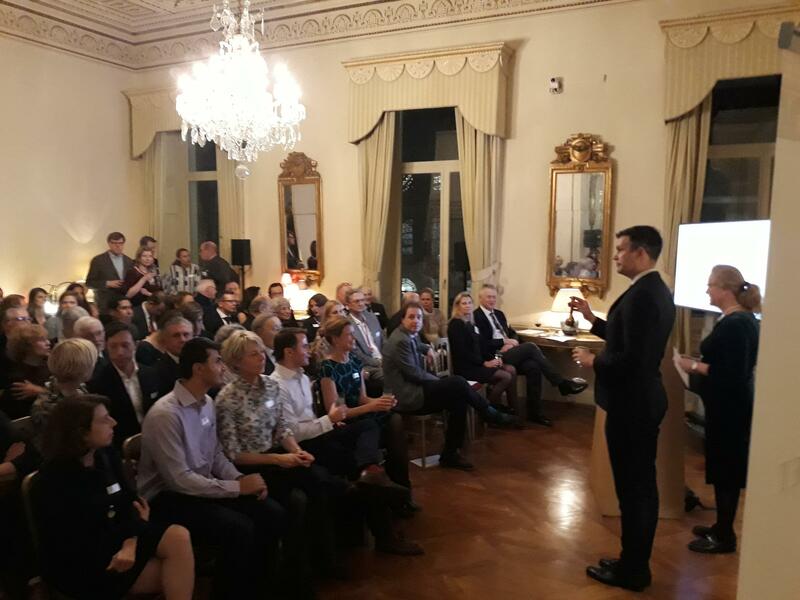 The afternoon was devoted to a focus discussion on Brexit at the Swedish Embassy, together with our three British partners in the Guild network of universities. Apart from King’s College, Glasgow University and the University of Warwick were also represented. During the 25 years that Sweden has been a member of the EU, we have enjoyed close partnerships with British universities, where many Swedes study and work. The session was introduced by Dr Julie Smith, member of the House of Lords and Director of the European Centre in the Department of Politics and International Studies, Cambridge University. She told us about the uncertain situation and the difficulties ahead of the vote in Parliament next week. About the consequences of Deal or No Deal. Many questions remain. How will we work after Brexit? What will happen to tuition fees? What will happen to research cooperation? What will be the consequences for Swedish researchers at British universities? As yet, there are few answers. Ambassador Torbjörn Sohlström, Professor David Sumpter and Vice-Chancellor Eva Åkesson. Ambassador Torbjörn Sohlström and Vice-Chancellor Eva Åkesson at the alumni event at the Embassy. The entire Uppsala University delegation. 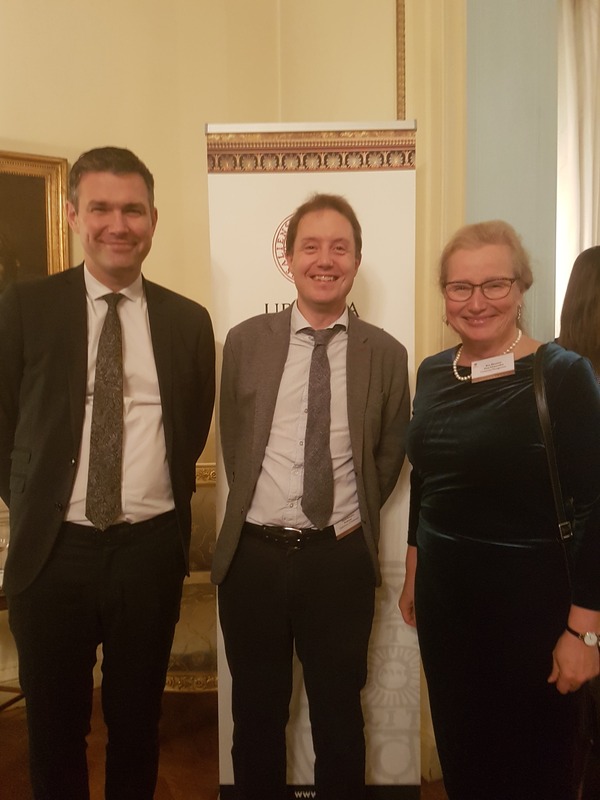 In the evening, Uppsala University organised an event at the Swedish Residence. Many alumni, honorary doctors and other friends had responded to our invitation. The Ambassador of Sweden to the United Kingdom, Torbjörn Sohlström, welcomed the guests. After my introductory words and brief presentation of Uppsala University, Professor David Sumpter from the Department of Mathematics gave a much-appreciated popular lecture on “The Dangers of Algorithms”. We are very grateful to Ambassador Torbjörn Sohlström for allowing us to be at the Residence. On Tuesday we visited the Science Gallery at King’s College. The Science Gallery is a new arena for confronting issues that present a challenge to society, with artists drawing on research to explore the problems. The theme of the debut exhibition is addiction. It took up various types of addiction and related problems, ranging from mobile phones, sugar and gambling to the consequences for families when a family member has problems with addictive behaviours or addiction. 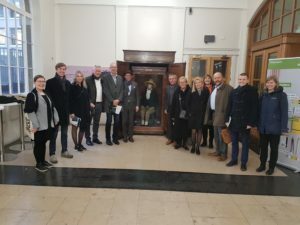 The purpose of the visit was to see how the concept worked, with a view to perhaps starting something similar in Uppsala. 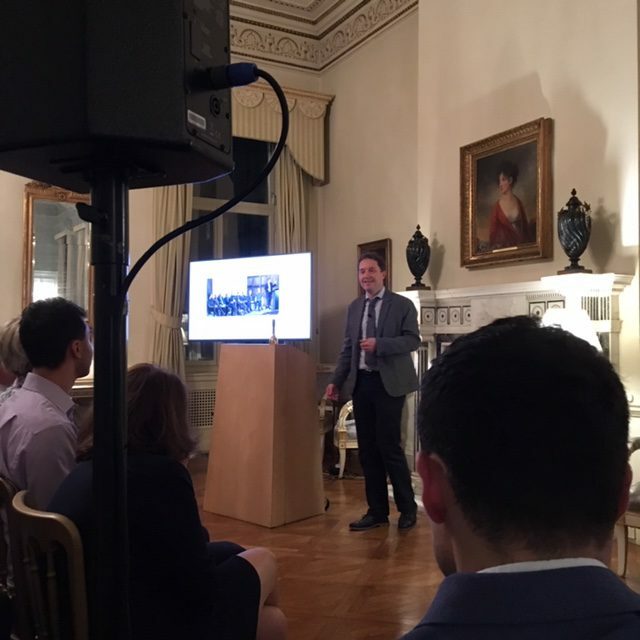 The last item on our two-day agenda in London was a visit to University College London (UCL). They gave us a presentation on UCL’s Grand Challenge Programme. This is a programme at the University involving cooperation across faculties and subject areas. One example was a project on HIV involving literary studies, technology, behavioural science, economics, medicine and pharmacy. It was extremely interesting. At UCL too, we could identify shared interests. We returned to Uppsala satisfied after a few busy and inspiring days. I am sure our cooperation will survive and indeed develop, but obviously the conditions will be affected by the vote on Tuesday. We are following the situation with great interest. Deal or No Deal?